Norris Hanes is a track star. 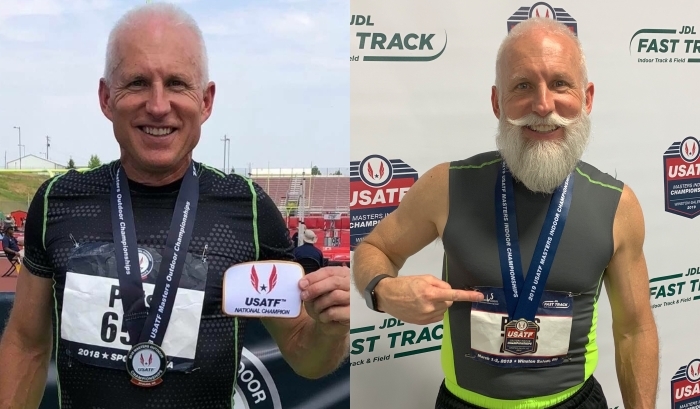 He placed third in the 60m event with a time of 7.55 at the 2019 USATF Masters Indoor Championships in Winston-Salem, North Carolina in the 50-54 age division behind two former world champions. Norris trained using the 100m/200m training program to prepare for his first indoor season in 27 years and plans on competing in the outdoor season. David Pitts is a 400m track star. 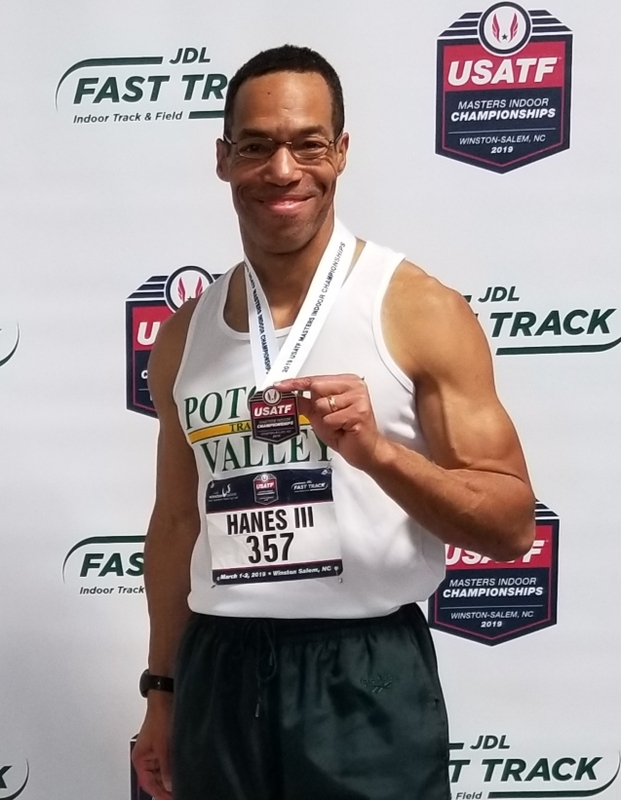 He won the event in 54.58 at the 2018 USATF Masters Outdoor Championships in Spokane, Washington (55-59 age division) and in 57.14 at the 2019 USATF Masters Indoor Championships in Winston-Salem, North Carolina (55-59 age division). David trained using the 400m/800m training program to prepare for both events, with the 2018 season being his first time competing in 35 years. His plans are to compete in the 2019 outdoor season. Don’t be confused by the bike in the photo. Richard Flanagan is a track star in disguise. He is a Guinness World Record holder of the fastest bicycle wheelie over 100m from a stand-still start (not rolling). To assist Richard in his 100m world record wheelie time, he trained using our 100m/200m training program and did the sprint training on his bike (wheelie style). Richard was able to produce faster weekly results until he was able to consistently break the previous record. Then, on October 1st of 2017, he officially clocked a record breaking 10.86 seconds to earn himself a Guinness World Record in the 100m. 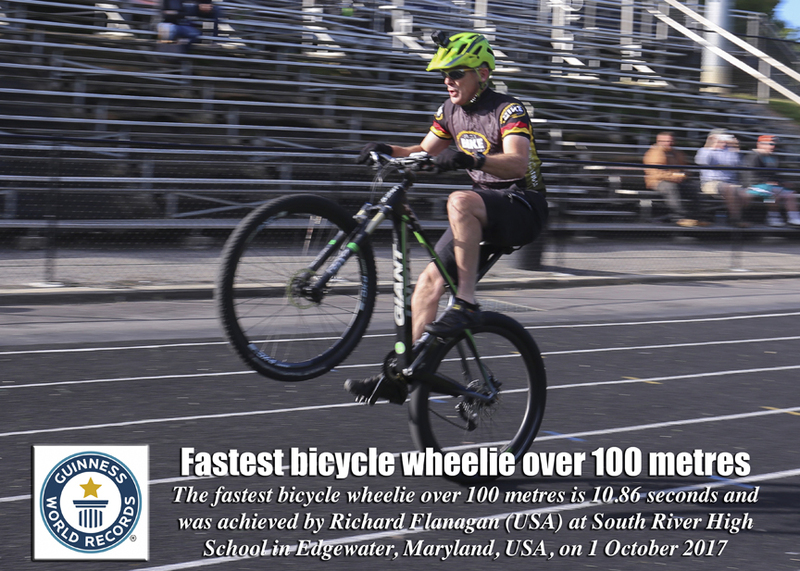 Richard also holds the longest wheelie on a bicycle in 1 hour (16.1 miles).